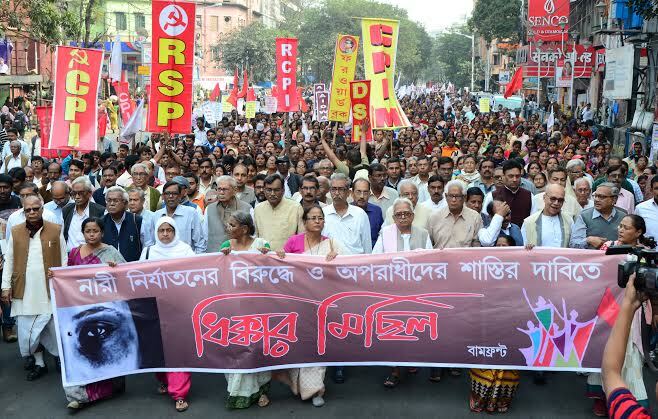 Braving heavy downpour tens of thousands of people marched through Kolkata in a massive anti-imperialist rally on September 1. 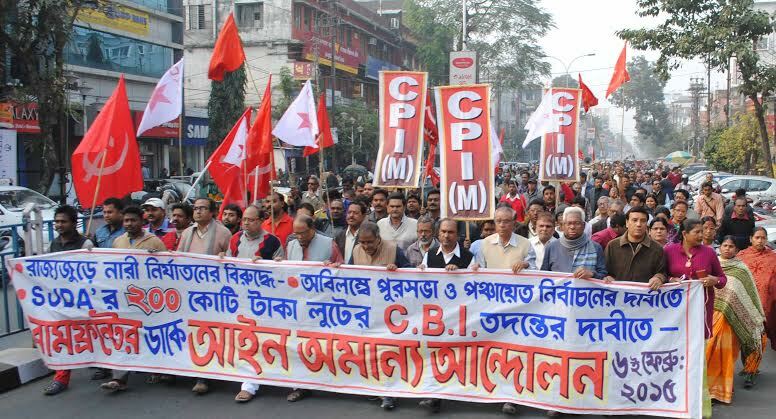 The rally, jointly called by 15 Left parties, started from Ramlila Park in central Kolkata and traversed more than 5 kilometers to reach Deshbandhu Park in northern part of the city. 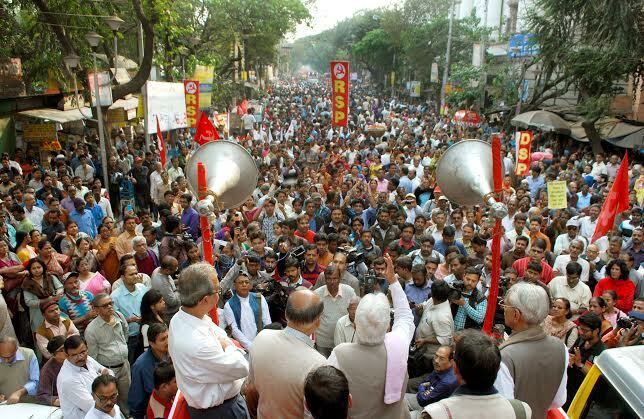 This year’s peace rally was a protest against imperialist aggression in different parts of the world, against Israel’s aggression in Palestine and against the growing political intervention of USA in India. 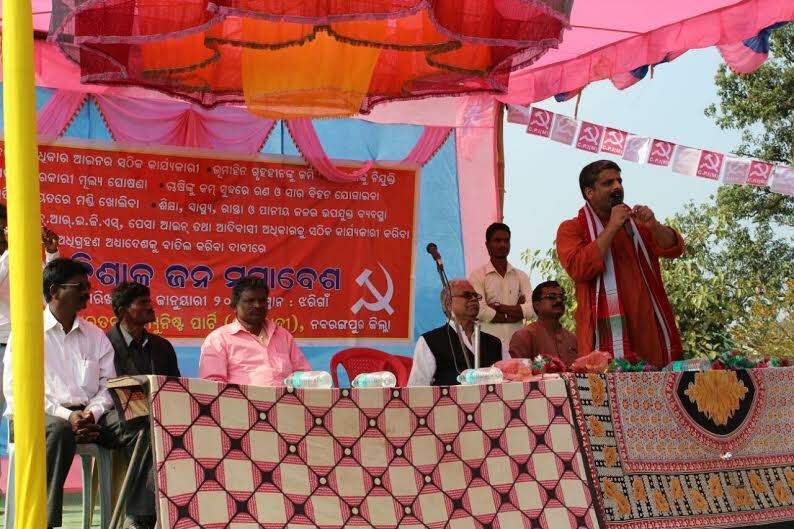 There was heavy downpour when the rally started and as it progressed it participants were fully drenched. But nothing could dampen the militant spirit of the rally. 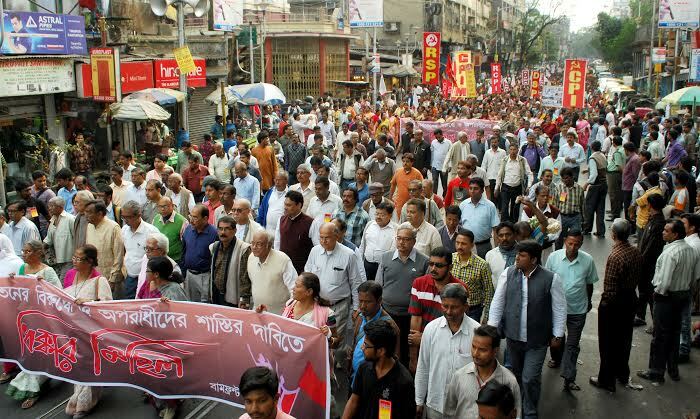 The stream of people with red flags, banners with anti-war slogans, innovative artworks marched through rains raising slogans. Many tableaus depicting imperialist aggression, particularly photos of barbarism in Gaza made the rally more colourful. Songs were rendered from the tableaus. 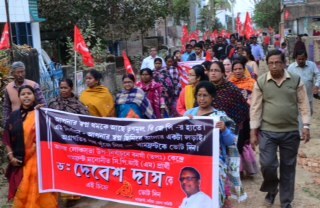 Biman Basu, Left Front Chairman was among the Left leaders who participated in the rally. 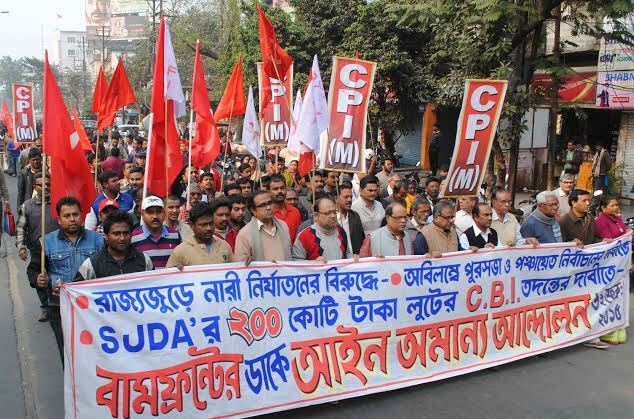 People from all walks of life including teachers, intellectuals, artists participated in the rally beside workers, students, youth. The most notable was the participation of women of all ages. 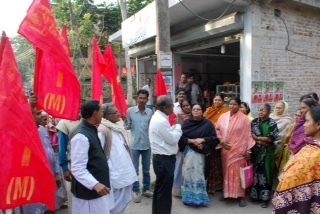 To commemorate 1st September , which is globally recognized as anti-Imperialism day, separate rallies were held in districts. 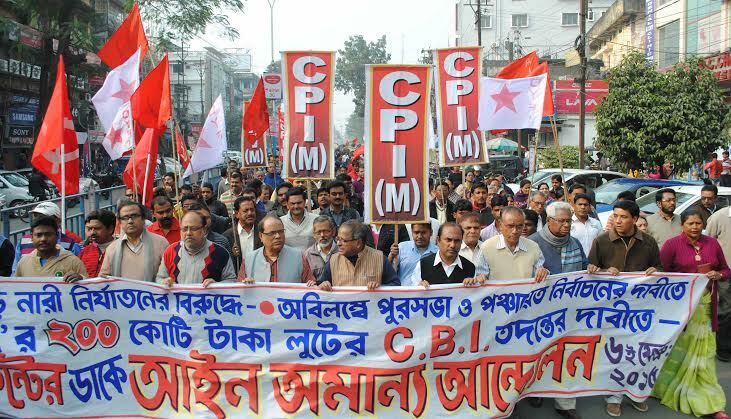 The fifteen Left Parties are the CPI(M), CPI, Forward Bloc, RSP, DSP, RCPI, Marxbadi Forward Bloc, Biplobi Bangla Congress, Workers’ Party, Bolshevik Party, SUCI(C), CPI(ML)-Liberation, CPI(ML)-Santosh Rana, CRLI and Communist Party of Bharat.